The pattern of their life was indelibly laid down even before they were married, partly through Jim spending all his working life in the same job, and also because lack of money set strict limits on the choices available to them, in common with many other people. War or peace made little real difference. Their day began very early and by 5.30am Lucy had made the morning’s first pot of tea. Jim collected the buckets of water from the tap before he went off to work, that is unless the weather was so cold that the tap had frozen. Fortunately that only happened in the worst weather, and if a hard frost was predicted the previous evening, then it was provident to fill the buckets then rather than wait for the morning, otherwise there would be no water for the early morning tea, no bottle of cold tea for lunch, and no water in which to wash faces or hands or do the breakfast dishes, let alone the week’s washing if it happened to be a Monday. 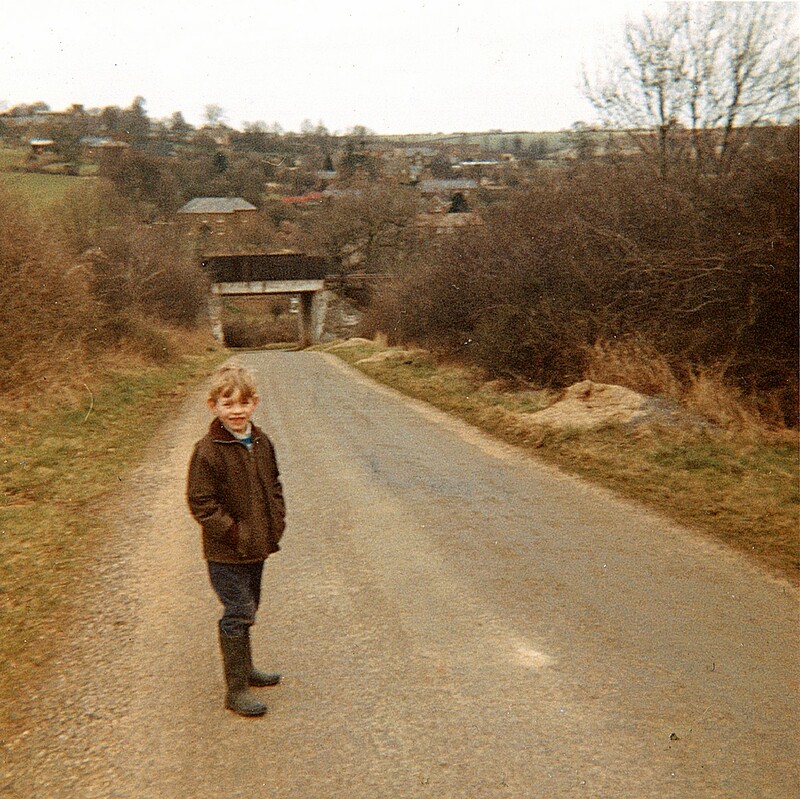 Jim went off on his bike down the village and stopped half way up the steep hill that rose up on the far side of the brook, where the Ironstone railway bridge crossed the road. As he and the other Ironstone workers arrived they hauled their bicycles up the steep embankment and onto the railway line to wait for the small tank-engine that pulled the van for them and their cycles the short distance to their work place. Once Jim was away, Lucy’s day was her own until he returned at 3.30 for his dinner. The first thing she did was to cope with the daily chores. She started with the breakfast dishes and got ready for the Co-op milkman’s call. This sit-down-with-a-cup-of-tea visitation not only brought in the milk, but the news of the condition of the roads and the weather, and most important, details of what had happened locally in other villages overnight. It gave Lucy a head start in the exchange of news and in the circles of those who like her had an insatiable curiosity about local goings-on. Armed with her news she would barter with it later in the day. 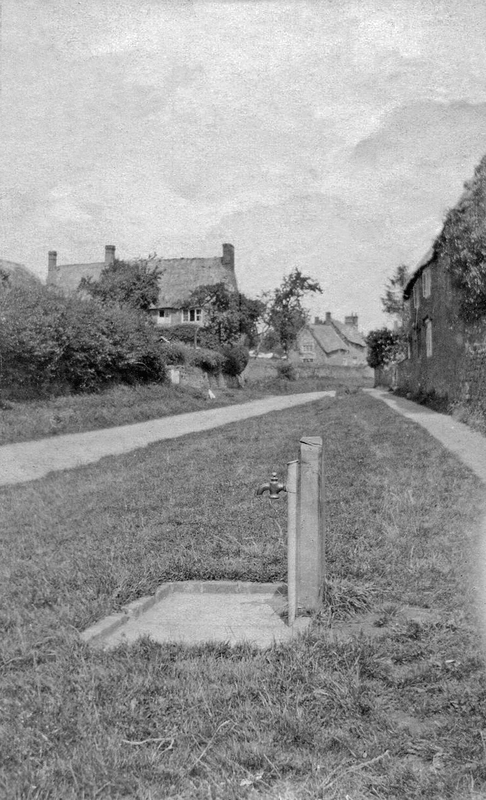 Lucy was lucky to have one of the four village taps outside her front garden gate. Others who lived further away had to carry their pails as far as 75 yards – and this alone must have provided motive for not washing clothes more often than necessary. Since Lucy had no sink she washed up in an enamel bowl. The water had to be boiled in a kettle and then some soda added to make the hard Oxfordshire water a little softer, and to dissolve the fat more easily. She never rinsed the dishes, for that needed extra water, but simply dried them and put them away with an invisible veneer of chemical still on them. The water was kept for a while in case there should be a further use for it. Next the fire had to be cleared out, the ashes riddled, and the fireplace laid with screwed up newspaper, sticks and finally coal ready for lighting later in the day. This job had to be done before the rest of the house was cleaned because it raised so much dust. Once completed the rest of the cleaning could proceed in earnest. The floors in Lucy’s house were ancient very uneven flagged stone, but she covered all her floors with shiny linoleum that was easy to clean with a mop. She had rag rugs, made from bits and pieces of hard-wearing fabric (men’s trousers and overcoats) sewn or woven together by women in winter evenings, which were cheerful in front of the fire, and they were simply shaken out now and then in the garden to get rid of the accumulated dust. In the early 1950s Lucy took a great step forward by putting down a fitted carpet in her living room. It was not new, but bought second hand from Mrs Cherry, farmer’s wife in Hornton who was moving house. Jim laid it and it ‘fitted where it touched’, but it was considered very grand by all of us. Lucy had no vacuum cleaner or Ewbank so the carpet was brushed with a hard broom to clean it. The carpet added a feeling of warmth, even if it did go up and down over the lino covering the irregular undulating flagstones. Lucy did not have a great deal of furniture, so there was not much polishing to do. She had an ornate ebonised glass-fronted sideboard in her sitting room given her by the Davieses at the Firs over the road, a Pembroke table, a pretty set of balloon-back chairs, and a wonderfully painted grandfather clock. These all had to be polished with wax polish, since there were then no spray cleaners. By way of decoration she had a few watercolours, a stuffed squirrel in a glass case, and a large print of the Stag at Bay. A duster flipped across these served well enough, and the only other items in the room were the two armchairs that she and Jim sat in by the fire every evening. She exchanged these from time to time, swapping one for a chair thrown out by one of the people she worked for, or buying one that somebody was selling for half a crown. Lucy re-covered them when they got worn or when she was able to buy a cheap remnant from one of the market stalls in Banbury. Her upholstery skills were rough and ready, and the material was pulled across the most important parts of the chair and sewn in place, leaving some of the chair showing the old material. These parts were covered up by turning that side of the chair to the wall or covering the gap with a cushion, but the chair looked clean and new. There was little to do upstairs. Before she had a sprung mattress the feather one needed shaking up to get rid of the lumps, but apart from that she had only to empty the chamber pot. Chamber pots, (sometimes called Jerries) along with wasps and a former boyfriend, were things that Lucy could not abide. She was happy enough to have a pot under the bed to use in the depths of night rather than go downstairs and out into the garden to use the earth closet, but she did not like to empty them. This routine was generally how Lucy coped with her housework, but the pattern varied according to the weather, the time of year, the day of the week or other activities which took over. Like most people, Lucy did her washing on Mondays. That is unless it was pouring with rain. Then it had to wait until the weather turned, but if it was fine the process began by placing a big pan of soapy water and clothes on the paraffin stove to boil. Since it was dark in the kitchen Lucy did her washing in the garden, in a large bowl on a stool. Because of the effort of boiling all the water, one lot was used for many clothes and rinsing was kept to a minimum. A drubbing board was used and the action of rubbing the clothes across its ridges made Lucy’s knuckles red and the clothes clean. When the clothes had been pummelled about for a while, they were rinsed and wrung out, first by hand, twisting them hard to get most of the water out, and then put through the rollers of a mangle to extract the last drops. Finally the sheets and clothes were hung out to dry, held in place by pegs sold by the gypsies – made of split thin branches of wood from which the bark had been cleaned. It was at this stage that disaster could happen as the damp sheets trailed on the earth, or shirts got blown off the line by a gust of wind. The clothes had to be watched for fear of rain. As soon as the skies looked dark there were worried trips to the window or back door and as soon as it started spotting with rain, the washing, only part dried, would be hastily unpegged and bundled indoors with much tut-tutting and wondering ‘When am I going to do it now? Dratted weather’. If she got all her washing done by the end of Monday, she was doing well, and the ironing was generally left until Tuesday. Washing and ironing for Lucy were not nearly as difficult as it was for women who had children, though Lucy found it trying enough, particularly the ironing which was fiddly. Heating the heavy flat irons on the grate needed judgment: hot enough to vanquish the wrinkles, not so hot that they would burn the clothes. Then speed and skill were needed to do as much of the ironing as possible before the iron lost all its heat and became useless. By the middle of the week, with a good deal of housework behind her, Lucy took time out. She visited her family once a week cycling miles through country lanes to Hook Norton until she ‘took ill’ in middle age and used the bus instead. 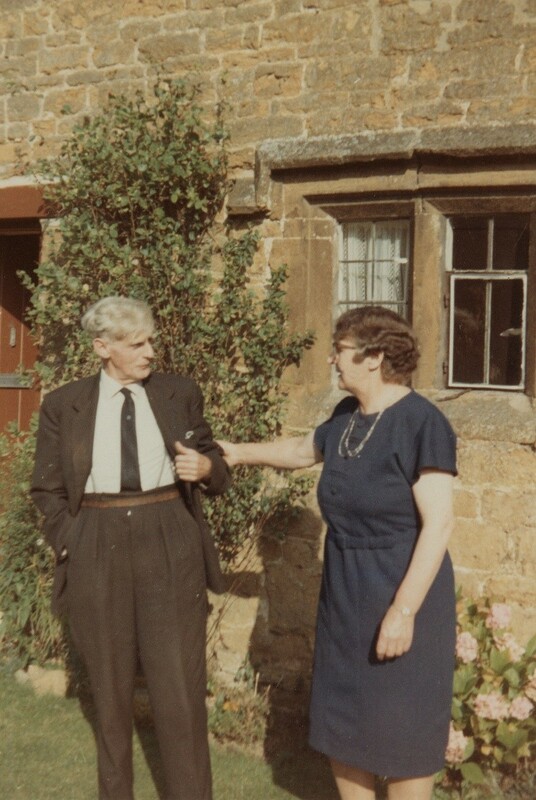 Once a week she also visited her mother-in-law in Hornton – as long as they were ‘talking’. Old Mrs Eadon was sharp-tongued and intolerant of Lucy’s foibles, and did not soften with age. Market day in Banbury was on Thursdays and Lucy always caught the Stratford Blue bus at 8.45 to go and do her shopping. A trip into Banbury needed some organising for there were few buses, and any activities in Banbury had to be fitted into these times. The buses moved very slowly, but Lucy enjoyed the chat and the news from the other villages when she was on the bus, so it was worth the effort. Since Lucy’s day started so early she had usually completed a great deal by lunchtime. At about half past one, when she had washed up the lunch dishes and had a cup of tea in whatever house she happened to be, Lucy’s thoughts turned towards Jim’s dinner that he had at half past three after work. Everyday Lucy prepared a generous meal for Jim: tender roasts or tasty casseroles finished off with a pudding, and each day he ate but a miniscule portion. Lucy on the other hand did herself proud whether or not she had already had a midday meal. She did not hold with people ‘going without’ – and neither did anybody else at that time. The shortages of money in the depression, and the rationing of food during the war had raised people’s anxieties about not having enough to eat. No one worried about eating too much and when supplies became available everybody was delighted. Lucy and many of her generation put on large quantities of weight. It became a norm, particularly for women in their forties and fifties, and was called the Middle Aged Spread. Nobody talked of its being unhealthy or unfashionable, it was just how things were and the women affected seemed very comfortable with their size. Once Lucy had washed up after their main meal about 4pm her activities depended on the time of year. In summer Jim’s evenings were spent in the garden and Lucy might join him and potter about with the flowers. Jim was an excellent gardener and had long, neat rows of perfect vegetables. He grew sweet peas and chrysanthemums for Lucy to cut for the house during the summer and into the autumn. He also grew in addition to the normal green and root vegetables and legumes, shallots, Jerusalem artichokes and just a few black potatoes. If she felt like a stroll Lucy might visit the Astells to look at something Mary wanted to show her, or go and put some flowers on a grave in the churchyard, stopping on the way back to watch an evening cricket match, or even in later years, very daringly, have a drink in the pub if she had a friend with her. Lucy did not normally go out in the winter evenings, not liking the dark. She enjoyed the cosiness of the winter evenings at home, particularly the long sit-down at the end of the day in the flickering dim light of the paraffin oil lamp. In the great open fireplace Lucy had hung up her collection of brass plates, horse brasses and kettles that caught the light of the fire and shone in bright contrast against the black beams where they were nailed. In front of the fire was a big bold steel fender with fire irons. But however cosy and traditional it looked, the fire gave out heat only immediately around it, so that unless you sat in Lucy’s or Jim’s chair on either side of the fire, you caught the draughts that swept down the chimney and eddied round the house. So, with the curtains drawn, and sitting by the fireside, she would write letters to the innumerable friends that she liked to keep in contact with, or read the women’s magazines which had been passed on to her. Once the BBC began to broadcast The Archers, she and Jim listened to it every day, and to the news that followed it on the wireless. Jim read his thrillers and histories, stuck stamps in his album and looked through the newspapers. If visitors called they stopped, and the caller was presented with a plate of cakes to eat, accompanied by a glass of South African sherry, or some homemade wine. Sometimes Jim enjoyed a game of cribbage or draughts in the winter evenings, but their days ended early and by nine o’clock Lucy was preparing Jim’s supper of pickled walnuts or onions to eat before he went to bed. By nine thirty Lucy and Jim were in bed for the night. With the advent of electric lighting in about 1955, the process of retiring was made much easier than it had been with the candle which made shadows leap around the old bumpy walls, sloping ceilings and irregular beams. Once in bed they slept, and there were not many nights when either one of them was still awake to hear the Church clock strike ten. Although the pattern of her life was governed by housework, it was not Lucy’s first love. However often she repeated, ‘Oi loikes ter see it toidy’ she was relieved when it was done and was not above brushing the odd bit of dust under the carpet saying, ‘No-one wont notice that little bit’. As soon as things in the house were straight she would go out and ‘see to things’ in the village, which was her real passion in life. The lure of conversation and the promise of swapping news hastened her step. Lucy had a heart that overflowed with kindness. If anyone needed a hand or wanted looking after she would be there offering help and food. She single-handedly looked after the needs of the oldest inhabitants of the village, doing their washing and shopping, undertaking their spring cleaning, collecting their pensions, and even decorating their rooms. Lucy also ordered their bottles of sherry or brandy from the wine merchants, for once they had a choice of the much lauded home-made wine or South African sherry they all opted for the latter whatever they said about the excellence of the former. The older women, Mrs Walden, pronounced Mrs Woaldin and Mrs Chapman were dependent upon Lucy’s unstinting generosity, time, and effort, and both were remarkably ungrateful for her kindness, chiding her for trivialities and calling her a ‘giddy thing’. They instinctively understood the extent of Lucy’s compliant nature. They promised to remember her in their wills but nothing ever came her way. More rewarding was the work Lucy did with families who were much more appreciative of her willingness to save them from crises. Any slight qualms about her inquisitive questions were more than counterbalanced by her energetic goodwill. 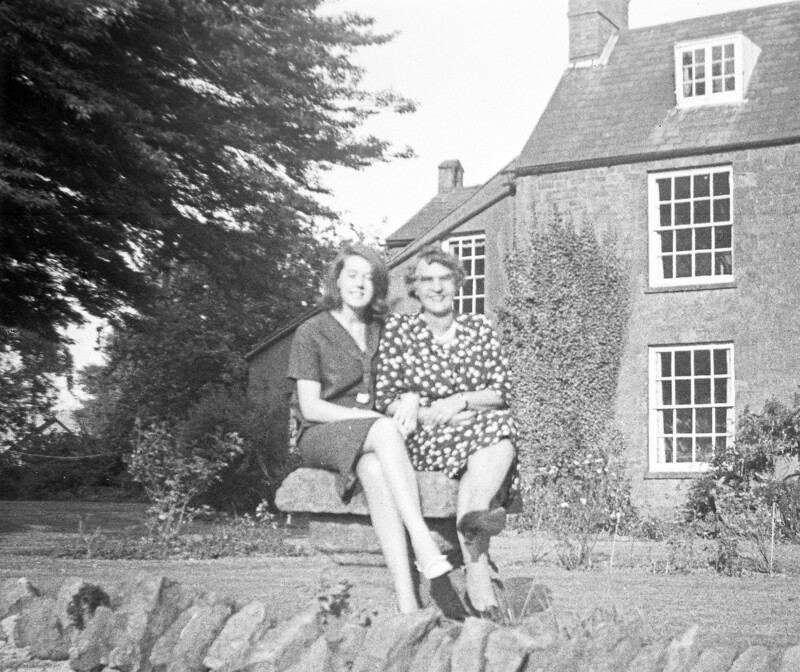 Before she worked with our family she had been cook at The Manor for the Stocktons, seen the Astells through their difficult and motherless years, helped the Blythes of The Firs in the 1940s when the four children were small, as well as lending a helping hand with the Rumps and even acting as midwife for an early birth. Lucy always became part of the families she was helping: she bustled around the house cleaning, scrubbing, dusting, hoovering, beating the mats ferociously on the washing line with the handle of the broom, washing and ironing. She did whatever there was to be done with never a second thought. She was unlike any other person in the village. It was a community which placed a very high value on privacy and was also very class bound, yet she was intimately involved in half a dozen homes from quite different classes and whether they were church or chapel made no difference. For some work she received wages, but often she did not. Lucy could never resist the urge to respond to a crisis or a cry for help, and she spent much of her time in this way. Saturdays and Sundays had routines all of their own. Saturdays meant shopping in Banbury in the morning and catching the half past twelve Sumner’s bus home. Afternoons were the time for village activities which anyone could join in such as fetes, jumble sales, decorating the church, doing the teas for cricket matches, and weddings. For Jim it meant the gardening, and doing the odd jobs that had accumulated during the week. Saturdays was the day when the earth closets were emptied. But this was only part of Jim’s Saturday activity, and he was usually found rummaging around his garden, straightening things up, or tying in the sweet peas that grew in profusion in his garden and gave off one of the most fragrant smells of summer. All activity ceased at 4.30. and by a quarter to five Jim was sitting alert in his armchair with a pencil poised to check the pools as the football and racing results were read over the wireless. Jim’s Saturdays were his own, but the same could not be said for Sundays. 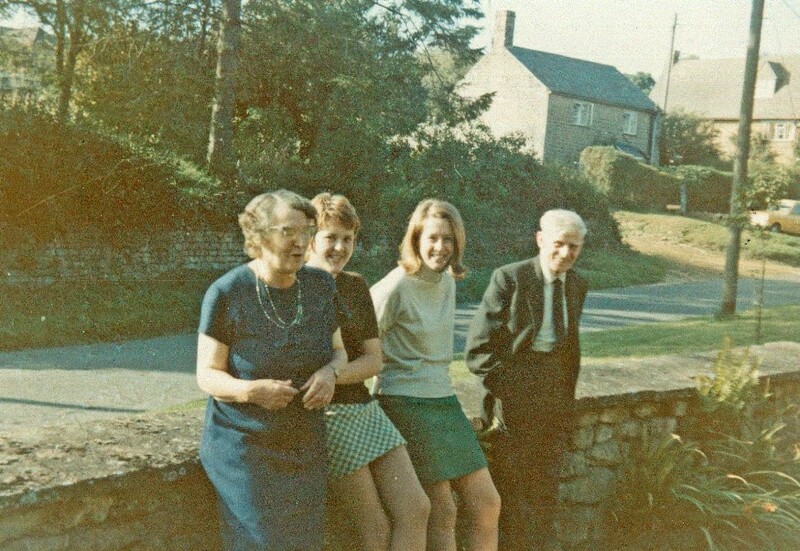 On Sunday mornings Jim cycled to Hornton where he saw his parents for an hour or two and helped do the odd jobs that his mother had lined up for him during the week. After cycling back to Horley, he went for a drink in the pub with Harry Walden, who came to call for him, before coming home for his roast Sunday lunch. In the afternoon he read the papers while Lucy had a sleep, and after tea it was time for Lucy to get ready for Church. There were two places of worship in Horley: the beautiful early English Anglican church at the top of the village on the hill, St Etheldreda’s, and the small, Victorian, Hornton stone Methodist chapel that was attached to the Eadon’s house. Congregations in both church and chapel dwindled in the fifties, but there remained a core of loyal attenders. At St Etheldreda’s Charley Varney the verger, Lucy and her friend Mrs Tom Allington, the two churchwardens, the school teacher’s family, The Vicarage family and The Manor family. The religious convictions of the believers varied. At one extreme was Miss Gwladys Ball, a bluestocking aesthete, gaunt and gothic in her worship. At the other extreme was Lucy whose knees prevented her kneeling when praying and whose spiritual commitments did not prevent her sucking Mintoes during the sermons, unwrapping them noisily and glancing uneasily over her shoulder to see if anyone was looking. From time to time Lucy’s thoughts strayed wistfully towards the Methodist chapel next to her house. Her Sunday evenings would have been easier if she worshipped there. They sat down a lot and she would not have to climb the hill up the village. It was cosy in the chapel, unlike in the church which was cold and draughty despite the huge fire roaring in the massive and antique stove at the back of the church. They sang rousing hymns in chapel and as it was a small building it made a cheerful noise. Going to church also meant having a good look at who was there, and if they were not, the opportunity to speculate where they were and why. All in all the discomforts were worth tolerating; and there was the added bonus of feeling righteous as she walked down the hill with Charley Varney and Mrs Tom Allington, sucking Mintoes together. Lucy was a very regular attendee at church. Her only absence was one Sunday when Donald Peers, heart-throb of the early fifties was on the wireless. She stayed at home and was thrilled to hear him sing ‘There’s a little white duck swimming on the water’, but she felt the guilt and did not do it again. This entry was posted in Modern History and tagged A Vanished Past, Chapel Cottage, Clare Marchant, St. Etheldreda’s Church, The Chapel, The Firs, The Manor, The Vicarage on December 18, 2015 by thehorleyviews.